The donation will be used to build the Monica Wooden Center for Supply Chain Management and Sustainability. ORACLE FILE PHOTO. 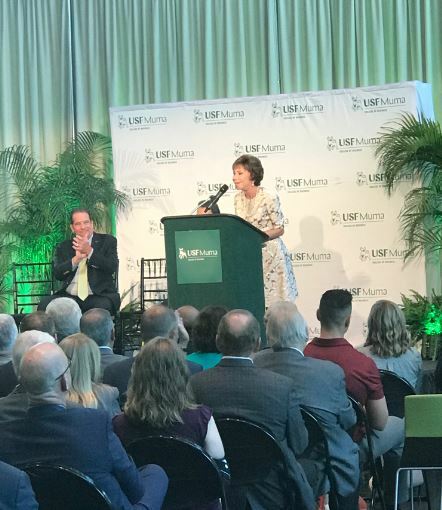 Monica Wooden, co-founder and ex-CEO of MercuryGate International, donated $5 million to the USF Foundation to create a program focused on supply chain and logistics management in the Muma College of Business. 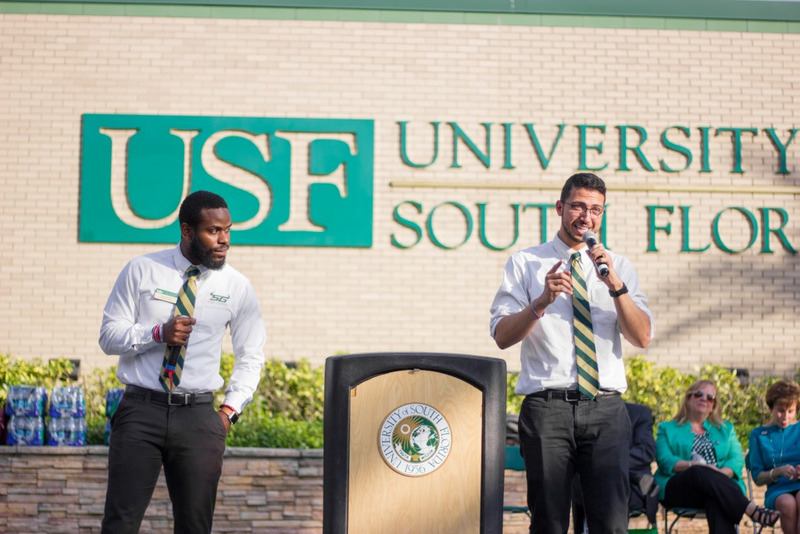 The announcement took place Monday in the atrium of the Muma College of Business, where USF System President Judy Genshaft relayed the news. USF Foundation CEO Joel Momberg said part of Wooden’s donation will go toward building the endowment for USF preeminence, which will support scholarships, research and operational expenses. The size of USF’s endowment — currently at $480 million — was the only metric measured for preeminence the university did not meet. USF needs an endowment of $500 million to satisfy the metric. However, USF met the other 11 metrics which allowed the university to gain preeminence. With the multimillion-dollar donation, the USF Muma College of Business will offer a major in supply chain management starting in 2019. In addition, the money will be used to build the Monica Wooden Center for Supply Chain Management and Sustainability, the first center of its kind in Florida. The planned location of the Monica Wooden Center for Supply Chain Management and Sustainability was not disclosed. Michael Denny, a junior majoring in supply chain, said the gift was important because of the importance of supply chain in the marketplace. According to Moez Limayem, dean of the Muma College of Business, Wooden’s gift will be fundamental for the education of several students in the field. In 2000, Wooden co-founded MercuryGate, a transportation management system focused on increasing efficiencies and decreasing costs on transportation needs. With that goal in mind, the company developed a Transportation Management System (TMS) software using real-world logistics experience and a passion for transportation management innovation, according to its website. “In the past couple of decades, this university has done an amazing job of transforming itself into an unbelievable place where so many lives are changed,” Wooden said. “I’m honored to now play a greater role in those efforts."